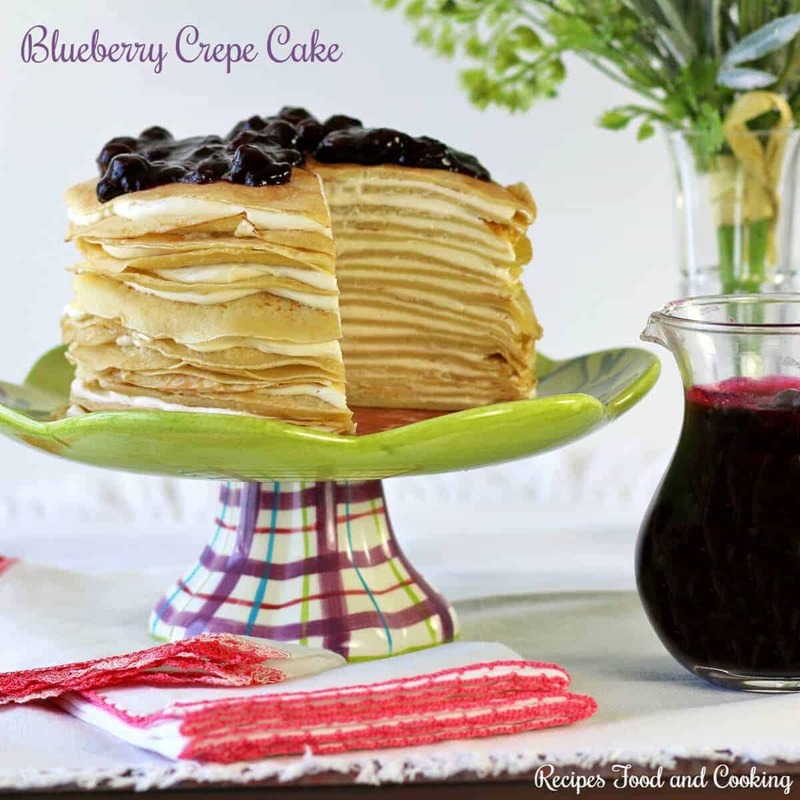 I love making crepes and especially that they can be sweet or savory. Today I’m doing a dessert with them that has a cream cheese filling and a blueberry topping. Hi everyone, I’m back this month to share a delicious recipe that I hope you are going to love. 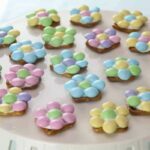 I’m Mary Ellen and I blog over at Recipes Food and Cooking and That’s My Home. 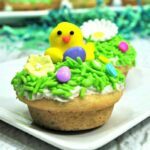 I love to make recipes that are family favorites with a huge dose of desserts thrown in. 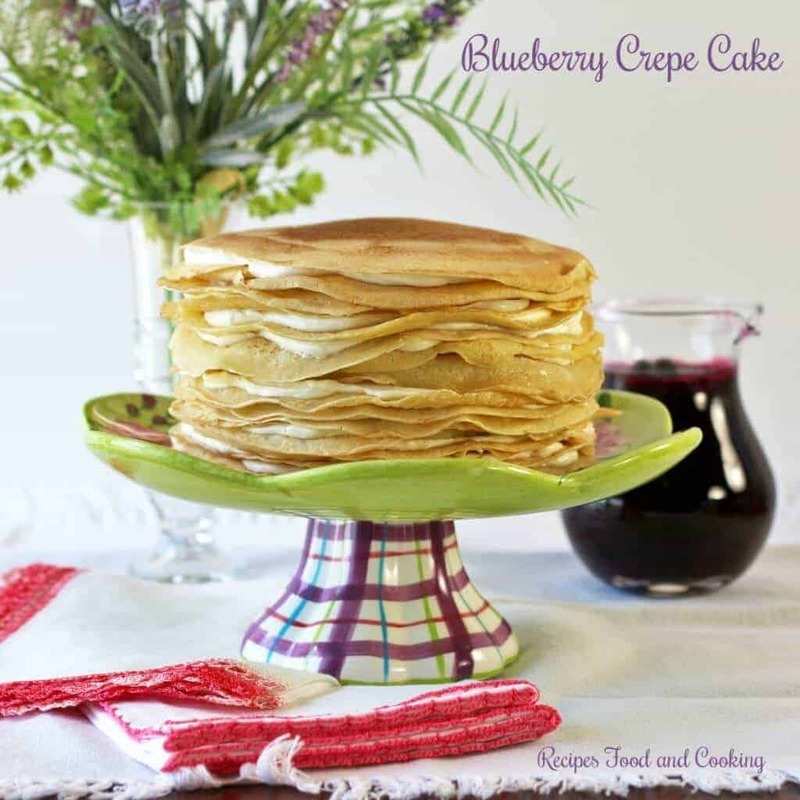 To make crepes there are a couple of things to remember, the batter needs to rest at least a hour before making them and use something consistent to measure out the batter so that you end up with crepes that are the same size. I use a 1/4 cup measuring cup and fill it almost full. I use a non-stick 8 inch frying pan with sloped sides. I put a little oil on a paper towel and lightly brush it on the pan. Quickly pour the crepe batter in the center of the pan and immediately swirl the batter to cover the bottom of the pan. Cook for about 1 minute and then flip the crepe over and cook another 45 seconds. Put them on a plate and stack them one on top of another until you have used all of the batter. Cover them with a towel until they have cooled. The next thing is to make a cheesecake filling and that can be done in less than 10 minutes. I used a Pampered Chef Medium Scoop of filling between each layer. It was just the right amount of filling. Spread the filling to the edges. 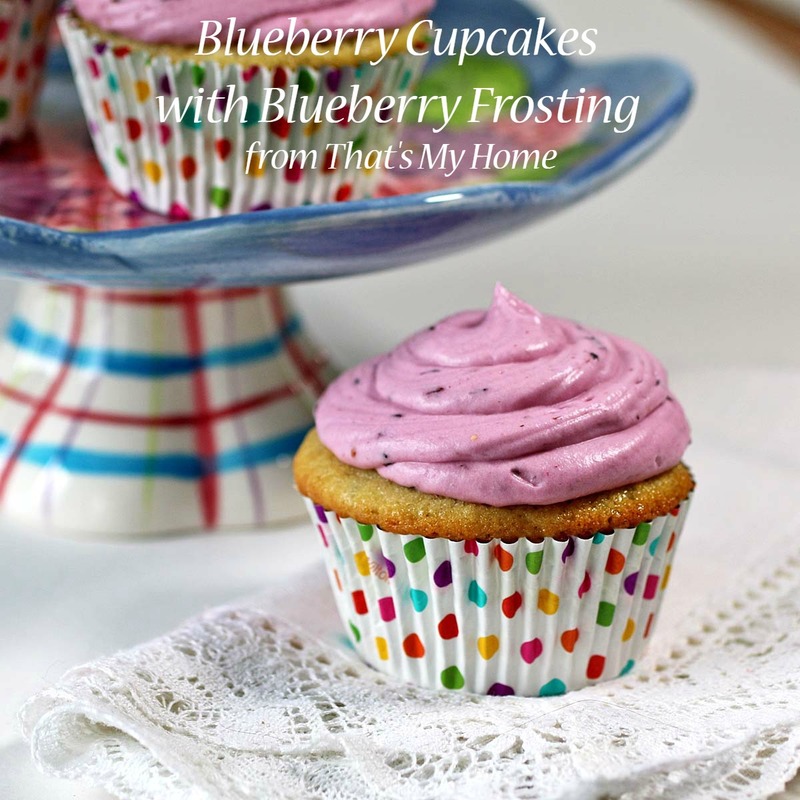 The blueberry topping can be made in about 10 minutes. It can also be made ahead. Add the eggs, water and milk to a mixing bowl or blender. Beat until blended together. Add the sugar, salt, and flour. Whisk until combined. Stir in the melted butter. Cover and set aside for a hour in the refrigerator or overnight. Lightly oil an 8 inch frying pan. Use a 1/4 cup measuring cup and fill it with the batter almost to the top. Pour the batter into the center of the pan. Swirl the pan and get the batter to cover the bottom of the pan. Cook for about 1 minute and then flip the crepe over and cook another 45 seconds. Put them on a plate and stack them one on top of another until you have used all of the batter. Cover them with a towel until they have cooled. Refrigerate until ready to use. Put the 2 packages of cream cheese into a bowl. Add the remaining ingredients and with an electric mixer beat until light and fluffy. Refrigerate until ready to use. Add the blueberries, sugar, 1/4 cup water and lemon juice to a saucepan. Bring to a boil over medium heat. Cook for about 5 minutes. Add the remaining water and cornstarch to a small bowl and mix it well. Stir it into the hot blueberries stirring until it thickens. Remove from heat to cool. 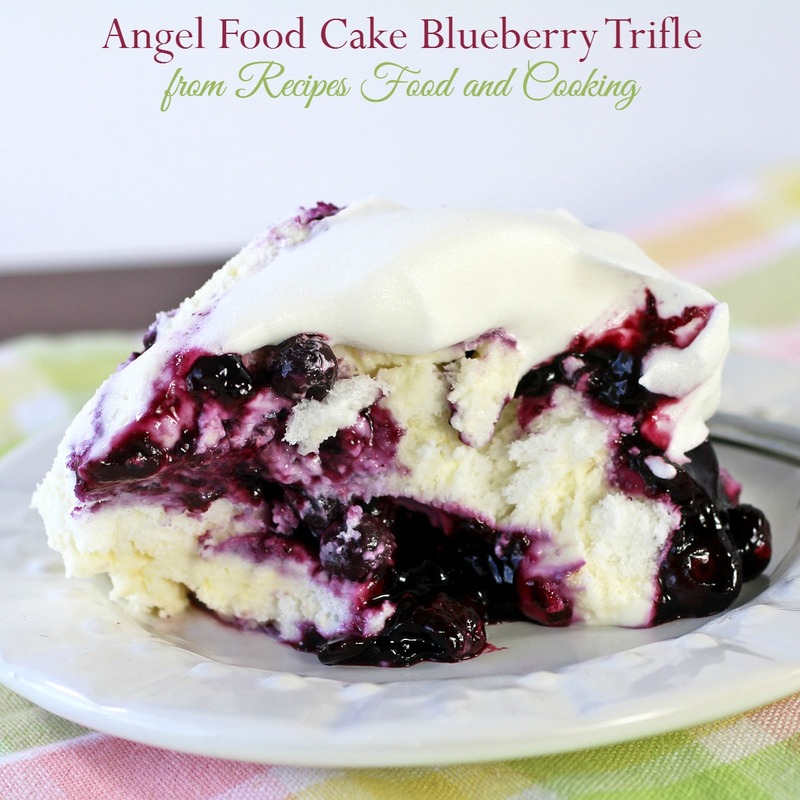 Warm the blueberries and top with them at serving time. 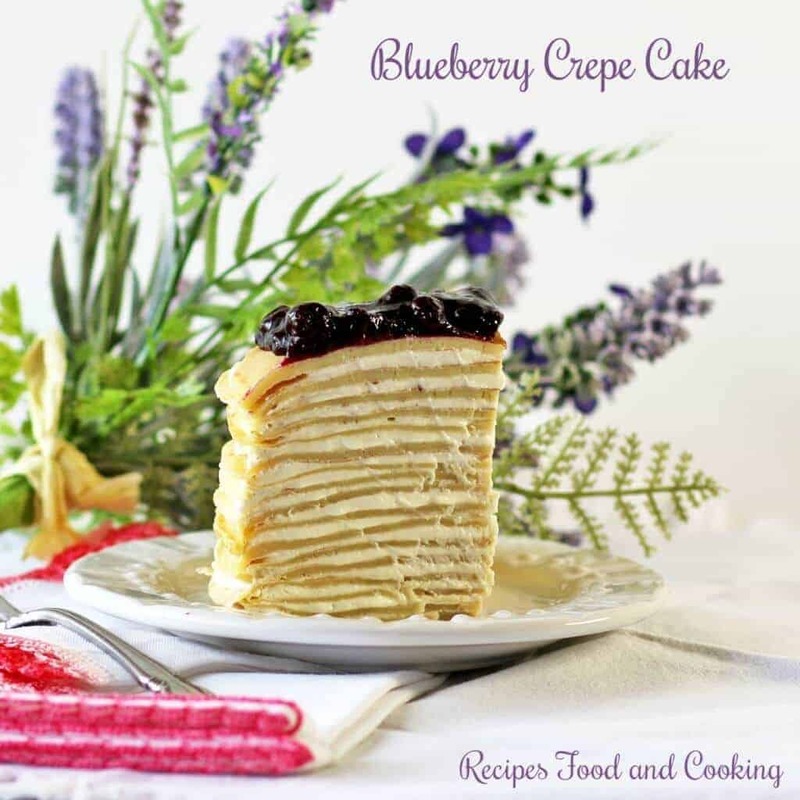 Maybe you’d like to try another of my blueberry recipes?